We are well into that time of year again, the time to plant some spring cheer before winter’s icy embrace rolls over us once again. Yes I am of course, in rather overly poetic terms talking about one of the main tasks of the late autumnal season – spring bulbs planting. We all have one job at some point in the year that makes us groan and insist it’s only been ten minutes since we did it last year and for me that job is bulbing. Then again, this is only because at Accent Garden Designs we can end up planting five to ten thousand bulbs between different projects in a single week. Any task can start to grate after enough repetition and it doesn’t half kill your back and knees. Still, don’t let my grumbling discourage you. Even I can’t gripe about seeing the first shoots of snowdrops or early daffodils popping up in early spring, followed by drifts of dazzling colourful tulips before the irises and alliums taking us into the start of summer. It is worth a little work to get that surge of new life and colour almost as soon as the seasons turn, and if you’re not doing it on an industrial scale, I have it on good authority that planting your spring bulbs is actually quite a pleasant afternoon in the garden. Having said that you’d best hurry if you want to get your bulbs in. 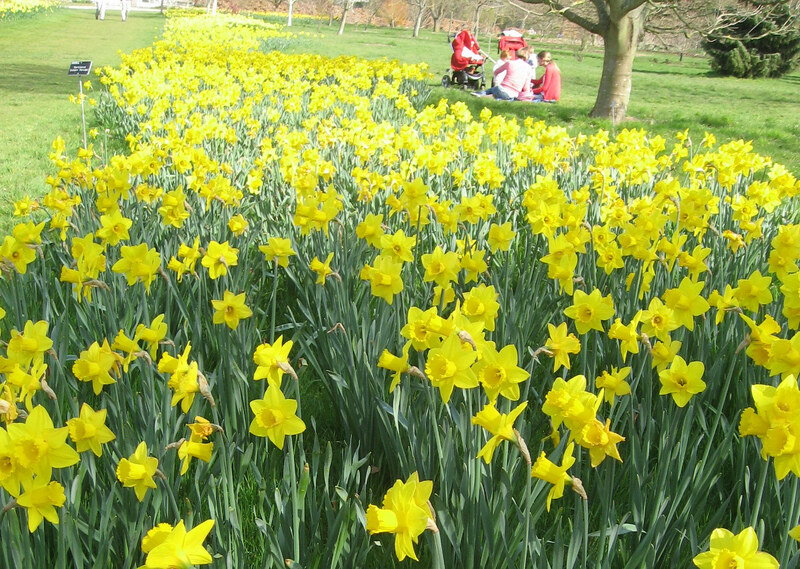 Daffodils, hyacinths and crocuses really should be in by now so get planting if they’re on your list. Under normal circumstances hardy summer flowering plants like alliums, lilies and crocosmia should be in by now too, but thanks to the late summer and bizarre weather that is about a month behind where it should be, you still have time to get these planted if you want them. Tulips of course would normally be going in around now, but again, due to the wet and oddly mild climes at the moment it is probably best to leave off for a week or two to let the weather get a little chillier allowing the soil to cool down in before putting them in. 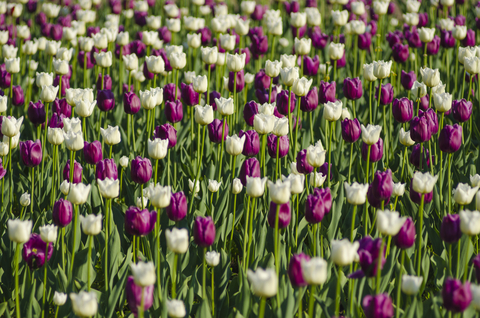 Tulips are both striking when planted as a block of one colour or like this planted with a contrasting colour. Just make sure that you select a partner variety that flowers at the same time. There is nothing worse than a group of tulips at their glorious best surrounded by fading and dying blooms of a variety that bloomed two or three weeks earlier! The almost black ‘Ronaldo’ with coral orange ‘Jimmy’ are three combinations that really work well. Granted, planting the spring bulbs may not be my favourite activity in my own garden after planting over 5,000 bulbs in our client’s gardens, but it’s certainly worth it for the riotous colour and interesting varieties you can have welcoming you into the spring. Besides, my opinion might be coloured slightly by the fact there are another 2,500 bulbs sitting in the middle of our office at time of writing. I’m sure they are staring at me!